Posted on November 9, 2017 at 11:28 am. POMPANO BEACH, FL (November 9, 2017) – Sol Inc. (“Sol”), a subsidiary of Carmanah Technologies Corporation (TSX:CMH)(“Carmanah”), today announced the first completed installation of the EverGen M Series, the newest and most power-efficient commercial solar LED lighting product from the company and the first to feature satellite remote monitoring. This is the first EverGen M Series installation with the City of San José’s Department of Parks, Recreation and Neighborhood Services, which has multiple purchase orders for the EverGen to fulfill over the coming months. There are currently 37 other projects in various stages of completion using the EverGen M Series light across the United States and Canada. The EverGen M Series is a robust solar outdoor lighting system that provides the durability, efficiency, and quality Sol is known for. This sustainable light uses a state-of-the-art LED fixture, with the capability of warmer light output, and a best-in-class energy management system to guarantee performance as promised over the long term. The included Bluetooth® wireless technology makes setup easy using a smartphone app. The “M” in its name stands for “monitoring,” which is provided via the included LightGuard satellite remote monitoring. “The EverGen M Series helps communities fulfill sustainability goals while also eliminating on-grid power costs. We are pleased to work with cities like San José as they enhance their infrastructure for long-term savings,” said Mimi Drabit, Division Manager for Sol. The lighting installation aligns with the City’s broader renewable energy goals. The San José Environmental Sustainability Plan, currently under development by the Environmental Services Department and Mayor’s Office, aims to reduce greenhouse gas emissions and put San José on a path toward compliance with the Paris climate agreement. “San José parks are public assets that offer people opportunities to recreate and connect with nature. Solar lights allow our parks to be more sustainable and safe,” said Angel Rios, Jr., Director of Parks, Recreation and Neighborhood Services for the City of San Jose. 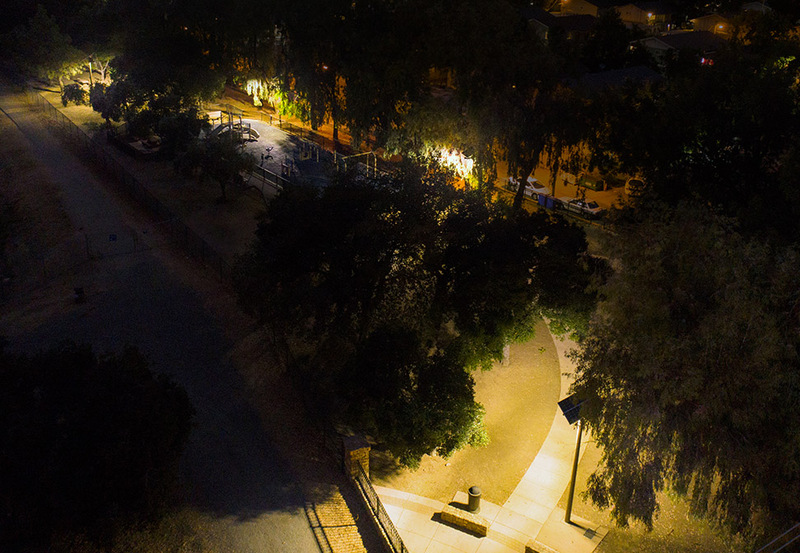 “Operationally, the self-monitoring system is a labor-saving component.” The inaugural project includes four EverGen M Series solar outdoor lights installed in Chris Hotts Park, a half-acre playground and picnic space in southern San José. Sol Inc., a subsidiary of Carmanah Technologies, is a global leader in solar-powered commercial outdoor LED lighting solutions. Over the last 20-plus years, we have installed more than 80,000 systems in more than 60 countries. Whether for cities, militaries, or commercial properties, we believe there is no substitute for reliable lighting that is engineered smart, built tough, and accurately sized. We are committed to providing reliable, cost-effective lighting solutions that offer guaranteed performance and peace of mind. Our solutions for local & collector streets, pathways & parks, parking lots, perimeter, and general area lighting ensure any project application can include a better commercial light in a smarter solar package.